And then I began reading. And almost from the start, I noticed that as I sat at the kitchen table in the mornings, laptop open as my children came down to start the day, my nose was on the screen as I mumbled “mmm-hmms” and half-hearted “do you have your gym clothes?” and snapping at them when they interrupted me to ask a question. I noticed that I was hiding from my family to read another block of blogs. I noticed that I was watching the clock for when everyone went to bed so I could relax and veg out in front of the TV or read my book. No matter that I hadn’t spent any real time with them all day or evening. Everyone knows that moms are busy. When kids are little, moms are busy wiping noses and taking care of basic needs. As children get older, the busyness continues, but it occurs at different times and for different reasons. I am no longer reading to my children, but helping with homework. I am no longer dressing them, but finding their basketball sneakers. I’m going to their band concerts and sporting events and awards assemblies. As my kids age, I’m busy with them, but I’ve also filled my spare time with my own stuff. Because after a while, moms just need a BREAK. Hands Free Mama made me realize that I was allowing my spare time, my breaks, to leak into time I spent with my family, that after years of putting aside my needs for them, I swung wildly in the other direction to take care of my own desires above theirs. It’s not the best feeling, to know that you are missing out on the important things – like relationships with the most dearly loved people in your life. That’s just what Stafford thought when she embarked on her Facebook community The Hands Free Revolution, her blog Hands Free Mama, and now her book of the same name. Stafford peppers her chapters – subtitled with good words like Awareness, Connectedness, Serenity, Simplification, and Acceptance, among others – with real-life anecdotes from her own experience living distractedly, what she missed by being distracted, and then what she gained back by living hands free. Her stories could be my stories, even despite our differing levels of activity. 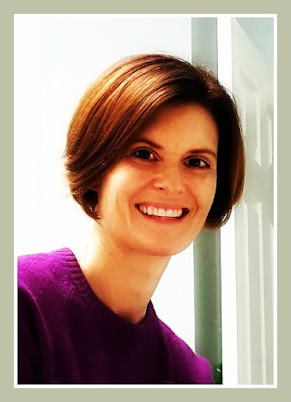 Stafford is a doer – she is the committee leader, the all hands on deck volunteer, the PTA mom, the go-to when something needs to be done now and right – and I am not. But her actions mirrored mine, and we both need to learn how to put aside the distractions to focus on what really matters. Playing with your kids. Having real conversations with them, no electronics allowed. Taking time to watch a blazing sunset. Noticing little pieces of your child’s personality that makes her who she is. Really loving your family – not just saying the words. It’s a simple concept, a “duh” idea. Who needs to be reminded to love her loved ones? I do. We all do. When distractions take over and we find that we are choosing them over the most beloved people in our lives, we all need to be reminded of why we are here in the first place. Is holding onto our outside responsibilities with an iron grip our purpose in life? Probably not. This is where Stafford found herself, and I admit, this is where I find myself sometimes, too. Being hands free meant that Stafford had to give up some of the things that previously brought her joy but that eventually weighed her down. When she intentionally gave up those things, she found “Sunset Moments” with her family, wonderful moments in the ordinariness of life that she previously would have missed had she kept up her previous level of activity and distraction. “For the first time in a long time, I was not just managing life, I was living it” (p. 37). The truth is, all of us need time to step back from distractions and really focus on what is important in our lives, no matter when those distractions appear. Hands Free Mama made me realize that I was pretending that I was fully engaged, when really I could do so much better. And that the rewards of living hands free are so much more than any rewards I could gain from the things that distract me. They are why I am here. Hands Free Mama is here to remind me. Stafford’s book goes on sale tomorrow, January 7, 2014. Find it on Amazon and at Barnes and Noble. Also read more about living Hands Free at Rachel's blog and at her Facebook community, The Hands Free Revolution. 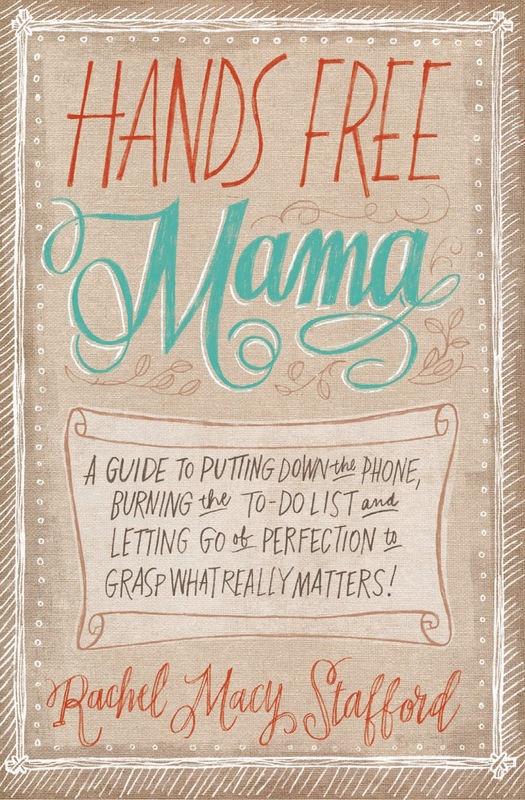 I was given an Advanced Reader copy of Stafford’s book Hands Free Mama to review. All opinions are my own. Ok. Now I need to read this book. This just hits too close to home. It really is something that we all struggle with, I think. On vacation the last few days, I really engaged with my kids. I didn't yell once. I think it did have a lot to do with the fact that I was offline and hands free. Adding it to my to-read list. It is amazing how this book, while I didn't really think it was for me, really made me look at how I was interacting (or not interacting) with my family. Even now, as it rests on my shelf, I think about how "hands free" I am doing. The concept really sticks. Currently reading this book. IT IS TERRIFIC! My next blog post is about how I had so many fewer distractions when I started parenting almost 15 yrs ago. The changes in just the past 2 years have astounded and humbled me. Isn't it amazing? I had the same realization, that my distractions are so numerous now. And they completely take over. I don't know if it's my age and that my ability to avoid distraction is changing, or that the quantity of them is what overwhelms me. I'm with Jennie. I think I really need to read this book. I'm positive that you will take something really meaningful away from it, even if only to be reminded to engage more. That's always a good thing. Hmmm... looks like something I NEED to read. I have been having such a hard time concentrating on anything at all lately. Well, except Candy Crush. Some sort of wake-up call is in order for me. I've known it for a long time. Maybe this will be it. We all get into ruts. I think after the new year is a perfect time for reorganizing our priorities! Before I read the book I knew it would be good, but I really didn't think it was for me at all. I was pleasantly (and then, a little unpleasantly) surprised. But it's done in a really gentle way so that you never feel as if you're being admonished, just encouraged by Rachel's stories. We are all in a similar boat. After all, don't we all struggle with similar distractions? I am just so encouraged by the experience you share with regards to my book! And I have enjoyed reading the comments. It says a lot when you continue to think about a book long after you've finished. That is such a compliment to me! I cannot thank you enough for this priceless gift! Thank you for taking the time to read and write such a beautifully detailed and thoughtful review! Thank you so much for commenting, Rachel! This book is in my head now. I think living hands free is so important, and something that I need reminded of daily. I admire you for writing about such a personal struggle and saying "this is where I came from," but also providing solutions and showing how you turned things around. Thank you for all the work you put into this book - I really loved it! This is one that I should read. I know when I disconnect and am fully present with my family, wonderful things happen. This is a great reminder. I love this review, Andrea, and my goodness I felt the exact same way reading the book! Like I needed it, and still do! Love knowing we're in this together! This book has been hard for me to read because well, yeah, I AM HER in many ways. I love how she makes us SEE that we are missing things that we shouldn't be. Awesome review, my friend!! All that to say...yeah, I need to read this book. Thanks for your review and recommendation!! You will love this book! Rachel's writing is so good, and she comes across so gently that you find you just want to try what she has done, not that you have to or even that you should. It's a positive in every way. I hope you get a copy soon! I've read Rachel's blog but haven't in a while. I lost the link and (honest) forgot about it. Thanks for the re-connect. Had no idea she did a book. I am certain that I have more distraction than I want.